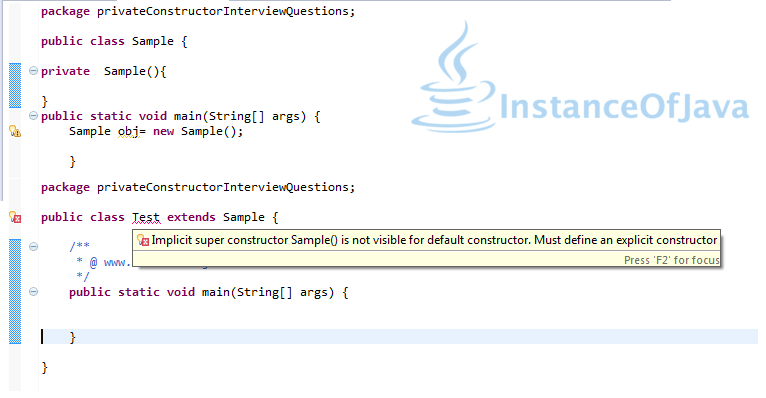 1.Can a constructor in Java be private? Yes we can declare private constructor in java. If we declare constructor as private we can not able to create object of the class. In singleton design pattern we use this private constructor. 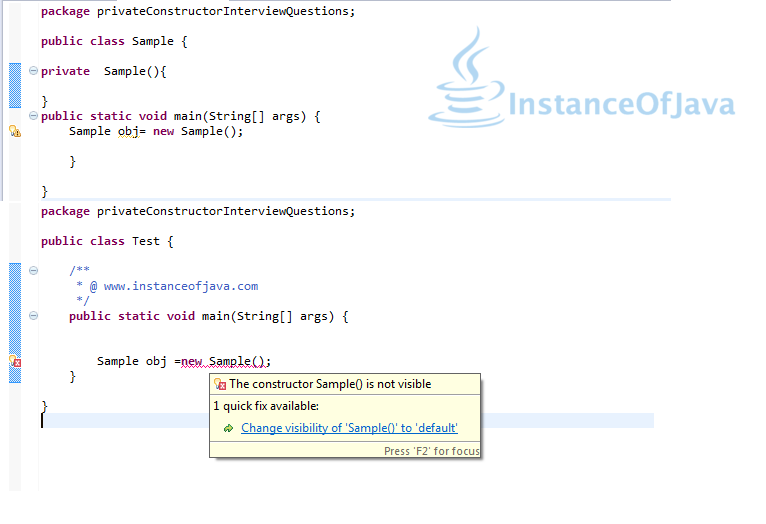 2.In what scenarios we will use private constructor in java. It wont allow class to be sub classed. It wont allow to create object outside the class. If All Constant methods is there in our class we can use private constructor. If all methods are static then we can use private constructor. 3.What will happen if we extends a class which is having private constructor. If we try to extend a class which is having private constructor compile time error will come. getInstance(): First time getInstance was called and object created !